Here are three extensions that are new to me that have had a big impact on my practice, along with some practical ideas of how I use them in my classroom and coaching. The images are courtesy of theChrome Web Store, and each link will take you directly to the extension for more information. I wanted to be able to draw everywhere and Web Paintsolved the problem. The screenshot below is the Google homepage with drawing and annotations from Web Paint. 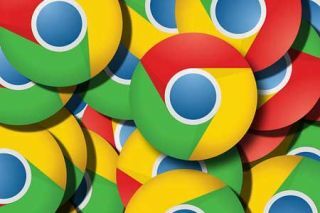 This extension will simply let you click and annotate all over the Chrome browser with drawing, lines, text, and more. Then, you can save the annotations as an image by clicking the camera icon on the toolbar or by using your favorite screenshot apps.